Gianfranco Zola is a Chelsea legend, if you didn’t already know that. He ensured that the supporters behind the bench had an unobstructed view of last night’s shootout. As the teams take their place for a penalty shootout, with the first taker bringing the ball to the spot, the players on both benches tend to join arms and cheer their teammates to victory. The Chelsea players did exactly that at Stamford Bridge yesterday evening. There was just one, minor problem. As the players and staff lined up ahead of the spot-kicks, they completely obstructed the view of the fans who were sitting behind the bench. They stood directly in their eyeline, meaning the supporters couldn’t see a thing. 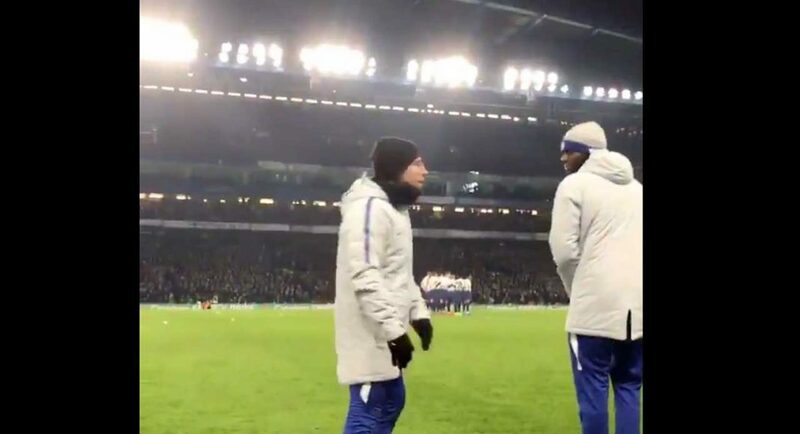 Thankfully, Zola was considerate enough to ask the whole group of Chelsea representatives to crouch down so that the fans could see the events which were unfolding before their eyes. The moment was caught on camera, and it says it all about what a great man he is. Can you imagine if you’d paid the money to see Chelsea beat Spurs and head to Wembley, only to have your face covered by Gianfranco Zola’s back-side for the whole shootout?